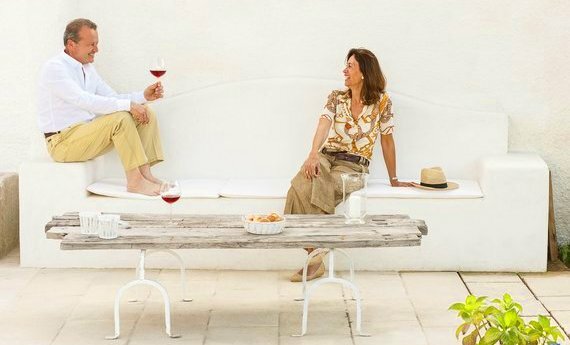 Whether in our garden, by the pool, or in the midst of the orange groves, prickly pears and flowers, we invite you to enjoy the wonders of the Salento countryside. The vegetables from our kitchen garden, the seasonal fruit, the delicacies of local producers, the recipes of the family and of the Salento tradition are the ingredients characterising our cuisine, which you can enjoy during the course of the day. 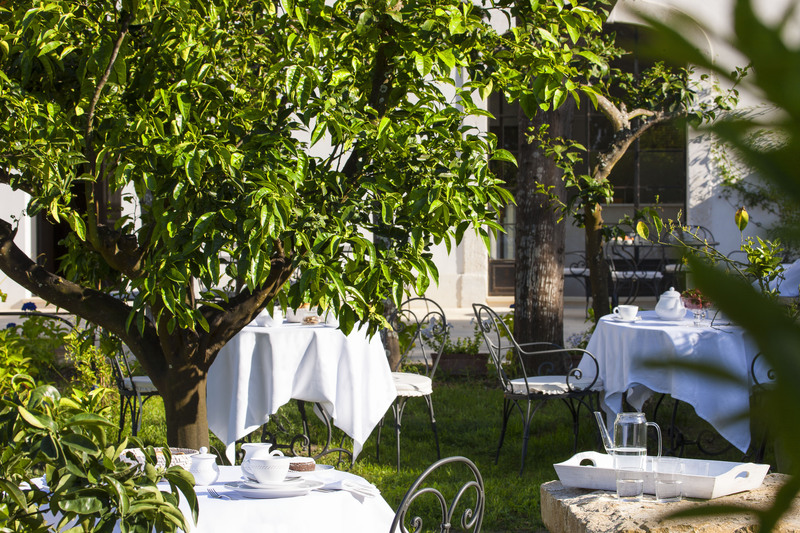 Awake to a delectable gourmet breakfast served in Critabianca’s garden, in the shade of our orange orchard, from 8.30 a.m. to 10.30 a.m.. 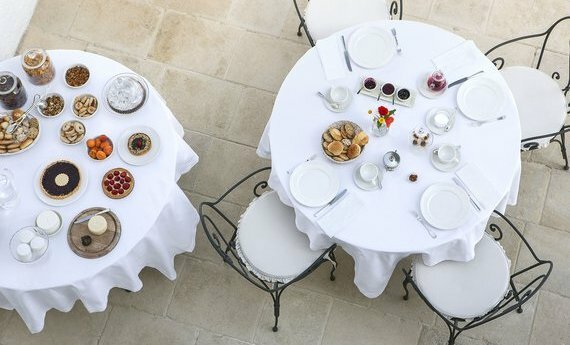 Prepared personally by the hosts, breakfast is a ritual here at Critabianca with its rich buffet that changes every day with a wide choice of savoury pastries, seasonal fruit, fresh juices, coffee roasted in Salento, homemade jams. Our gourmet breakfast is included in the price of your room. At lunch, Critabianca offers a small selection of fresh and light dishes made with seasonal ingredients from our vegetable garden, served poolside or in the shade of our citrus orchard, from 12:30 p.m. to 2:00 p.m.. 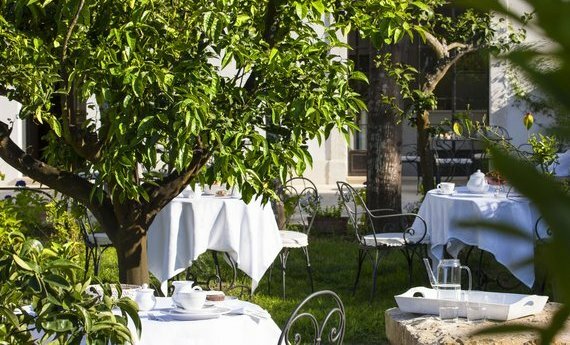 It is the ideal moment to savour ham, melon and figs from our garden, bruschette and mozzarelle, fresh salads and other mouth watering delicacies. At the end of the day, enjoy a moment of poolside relax while gazing at the light and shadow effects of the sunset or while reading a book. Then, take time to experience a pleasant habit here at Critabianca, especially in the long summer evenings: our appetizers. 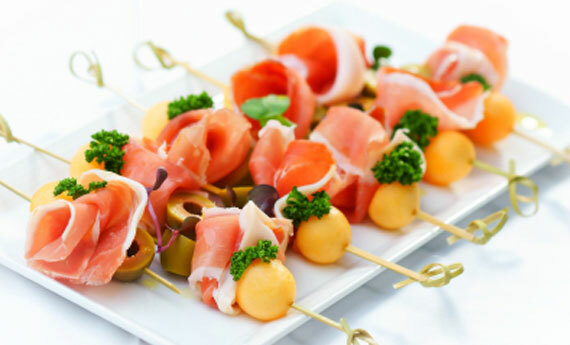 A delectable variety of canapés and nibbles, accompanied by wine, cocktails, fresh juice drinks. Delicious and light flavours, tender and enveloping consistencies, fresh ingredients chosen from the territory…Every day we offer a menu drawing from the Mediterranean tradition and Salento’s typical cuisine. Once the sun has set, reach us in our citrus orchard and enjoy a candlelight dinner starting from 8.00 p.m.. We kindly ask you to make reservation in the morning for the evening.